What is the Inca Path? During the Inca era, the Incan subjects where in charge of constructing a series of roads that would unite the empire, which meet in or have Cusco as a point of origin. 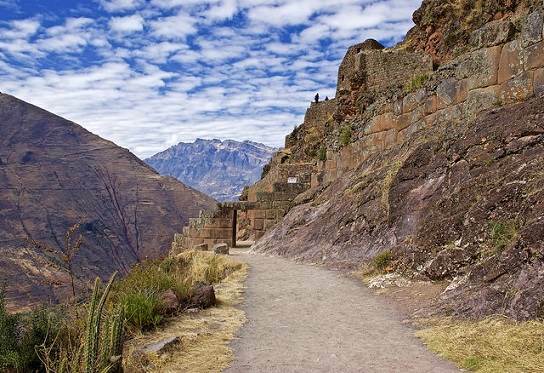 One of these roads that is the preferred one for those tourists practicing trekking and wanting to envelope themselves in an enigmatic and beautiful world is the Inca Path. The trail from Piscacucho, the place where one should cross the bridge that hangs over the Urubamba River, is known as the Inca Path. 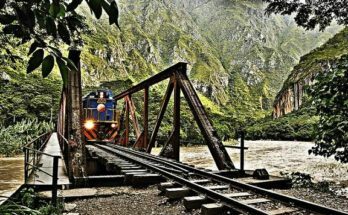 Others prefer to start their voyage at Quri Wayrachina, at the height of Kilometer 88 of the railroad line that goes from Cusco to Quillabamba, and continues in the direction of the Machu Picchu Historic Sanctuary. 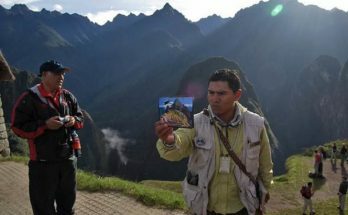 The Inca Path measures at most, 4 m wide and its climate is temperate during most of the year; although, if one wants to do trekking, we recommend doing it during the dry season between April and October because from November to March rains are characteristic of this area and may make this area a dangerous zone due to how slippery its terrain becomes. When one travels the Inca Path, one marvels at all that one sees around him, starting with the truly exotic flora; for example, one may be witness to more than 250 species of orchids. Furthermore, the fauna is truly astonishing. One may see reptiles such as jergon, lizards, frogs and many Andean and forest animals that subsist in this path. The entrance to Machu Picchu, through Inti Punku (’the sun’s portal’). Before beginning the walk, it is extremely important that one does it accompanied by a specialized tourist guide; because this route should be known with extreme precision. Once one is accompanied by his guide, one may continue to the Inca Path that may be begun at Piscacucho, crossing the hanging bridge that crossed through the Urubamba River; one walks for an hour and one reaches the Miskay ruins. From this point, one continues towards the Llaqtapata fortress, elegantly dressed with platforms made from quinoa and maize. One must cross another hanging bridge that will take one to the Cusichaca Valley, where one finds oneself in a eucalyptus dance. After this, we continue through a detour towards Quri Wayrachina, which is located at kilometer 88 of the railroad line that goes from Cusco to Quillabamba and counts with altars made of stone that have sculpted images, which were used for religious ceremonies. 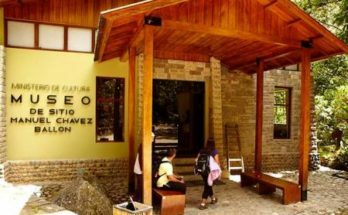 Afterwards, one passes by the architectural complex of Patallacta, Huayllabamba, Llullucha, Warmiwañusca, the Pacamayo Valley, Runkuraqay, Sayaqmarca, Phuyupatamarca, Wiñayhuayna, in order to reach the citadel of Machu Picchu. One should keep in mind that during the first two days of your trip, the climate is dry and one may observe an Andean landscape with the presence of mountains, streams and snowcaps. During the last two, humid. On the third day, the landscape to be observed is like a forest, full of vegetation that turns tropical, since you are in the center of the jungle.